Plus size: Now meet a wise selection of the best blogs and best online shopping fashion plus size national and international. Also, understand the GG market and its polemics. Before I begin, I will cite two controversies involving the plus size fashion that left me indignant and motivated me to write this story. 1ª) Who remembers that on April 22, 2012 the# 46naoentra hashtag turned trending tropic on twitter? The main reason for this was the statement by fashion entrepreneur Alice Ferraz, owner of F * hits, to ISTOÉ Dinheiro magazine revealing that to access the e-commerce platform, the F * Hits shop, its consumers should fill out registrations with The information of the mannequin and that would only be accepted those with mannequin inferior to the size 46. After the buzz, the businesswoman justified herself saying: “We can not buy pieces of this size; So we do not sell.” See the article ” Fashion: The devil invests in blogs”. I, as a fashion company, know that most brands only have numbering up to 46, but I can say with propriety that lack of dedication, interest, research, and mainly, lack of goodwill from the big businessmen of Brazilian and international fashion to change this reality. But before I go into this, I will tell you the second, somewhat more recent controversy that motivated me to interview, research and understand the plus size market. My advice to the chubby, to all women who do not fit the beauty standards imposed by advertising, and who fits is also very simple: boycott! Stop Consuming And Stop Wishing The Products Of Companies That Impose A Dictatorship Of Vanity And Do Not Respect Female Biotypes. “Oh, but there are only clothes for the hottest ones like me.“- I know that it is difficult to find stores and cool brands that have a fashion appeal and that is why I wrote this story, to open the eyes of those who still find difficulty, to show that the market trend is to improve a lot and that you can (must) Yes, boycott these companies because they will have better ones to serve you. Around the world, big brands like Donna Karan, Asos, Forever 21, Macy’s and Burberry produce pieces for women of all sizes. Here in Brazil, according to IBGE, 48% of women and 50.1% of Brazilian men, with more than 20 years, is the overweight and last year, according to the Brazilian Clothing Association (Abravest)plus-size fashion accounted for around 5% (read around R $ 4.5 billion) of total turnover in the apparel sector in general. Faced with this scenario many cool brands are investing seriously in the field, in addition there is still a huge growth in apparel specialties in fashion plus size. In fact I did not put the only 20, I put 23 options for all styles and all price ranges. “Ah, but I do not like to buy over the internet.” I’ll give you two more alternatives: the first alternative is leg kicking-there are several stores that do not carry the plus size label and work with larger sizes. We still have the option to have the clothes done-they look much more original and, because they are tailor-made, they dress a lot better. The Fashion Weekend Plus Size Summer 2014 is already scheduled and will take place on July 21 in Barra Funda, Sao Paulo. The Wake up, Beautiful! Will follow to tell the news to you later. And finally, I’ll tell you a secret: here in Brazil, the plus size models are doing MUCH more success than the skinny ones, because with the increase of the garment made for the more chubby, there was the promotion of the market for plus size models, and Several agencies, including international ones, are forming casting of new models. 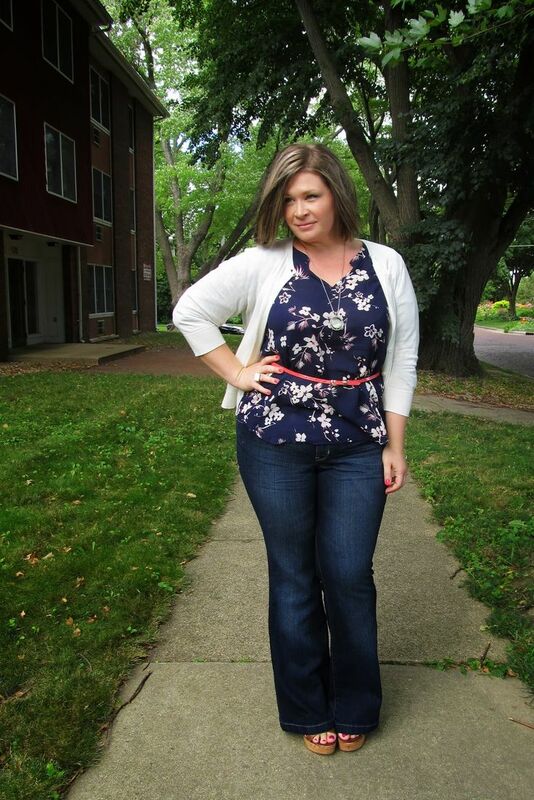 Plus Size Fashion Is The Trend Now!